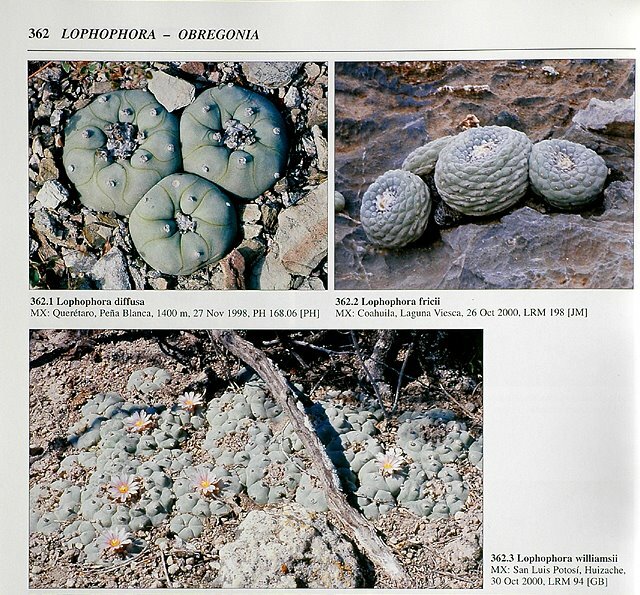 Since my early days as a “Lophophora aficionado” I’ve heard and read that the first illustration of Lophophora williamsii appeared in Curtis’s Botanical Magazine in 1847 (plate 4296). 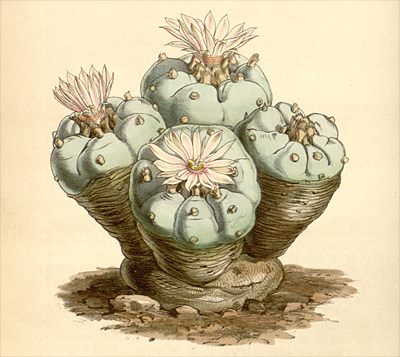 This fact seems to be very well known – probably because of Anderson’s book Peyote, The Divine Cactus – nevertheless it’s been next to impossible to find a good reproduction of the illustration. These days are over. The Botanicus Digital Library has scanned the material and made it available online. 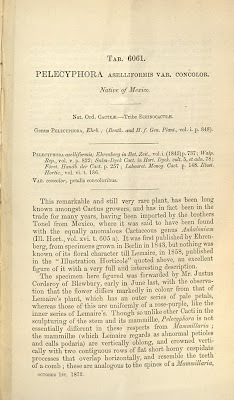 Below you’ll find copies of the scanned illustration as well as the accompanying description; the description is also reproduced in textual form. Nat. Ord. 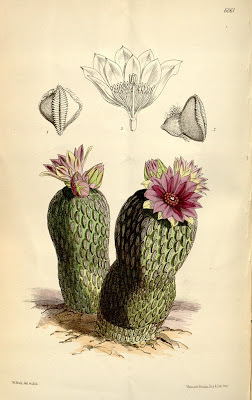 CACTEAE.- ICOSANDRIA MONOGYNIA. 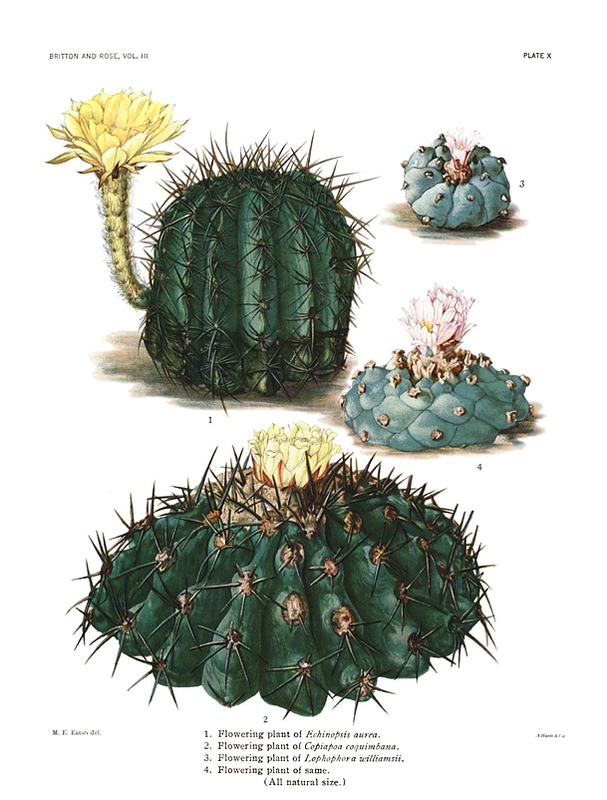 ECHINOCACTUS Williamsii ; humilis caespitosus turbinatus inferne teres transversim cicatricatus cinereo-fuscus superne umbilicato-depressus glaucus 6-8-costatus, costis latis convexis parce tuberculatis inermibus pulvilligeris, pulvillis e pilis fasciculatis densis erectis formatis, floribus parvulis subsolitariis albo-roseis. 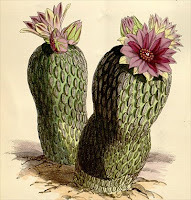 ECHINOCACTUS Williamsii. “Lemaire, ex Salm-Dyck in Otto et Dietr. Allgem. Gartenzeit, xiii. 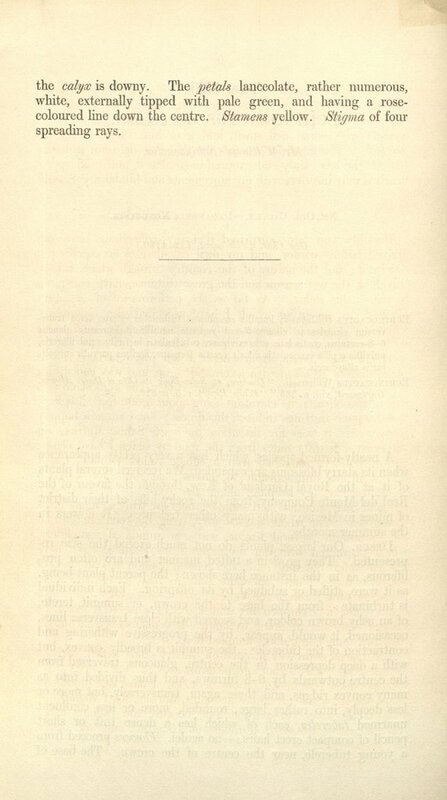 p. 385.” Walp. Repert. 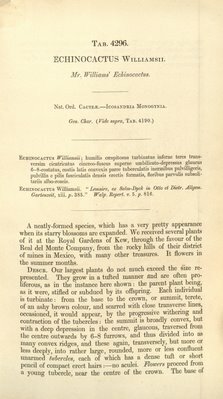 V. 5. p. 816. A neatly-formed species, which has a very pretty appearance when its starry blossoms are expanded. 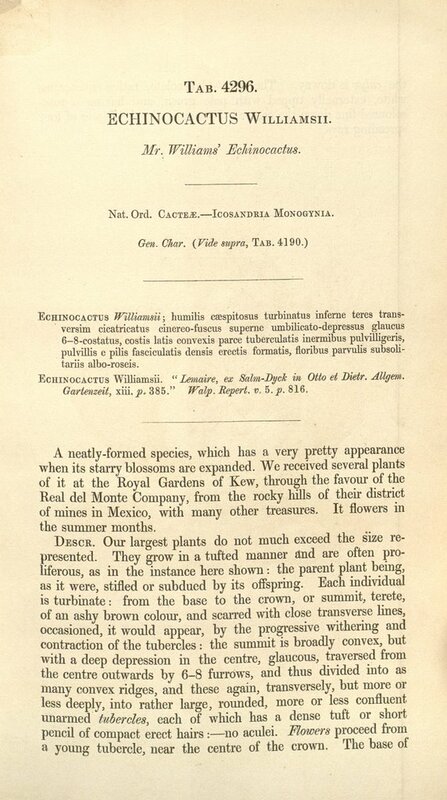 We received several plants of it at the Royal Gardens of Kew, through the favour of the Real del Monte Company, from the rocky hills of their district of mines in Mexico, with many other treasures. 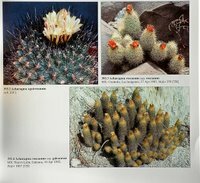 It flowers in the summer months. DESCR. Our largest plants do not much exceed the size represented. 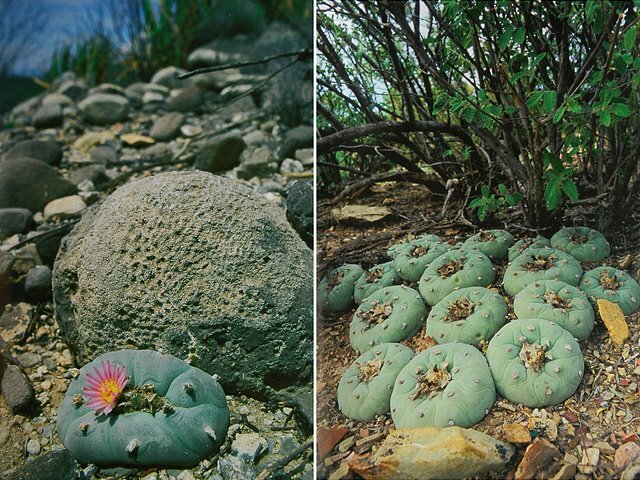 They grow in a tufted manner and are often proliferous, as in the instance here shown: the parent plant being, as it were, stifled or subdued by its offspring. 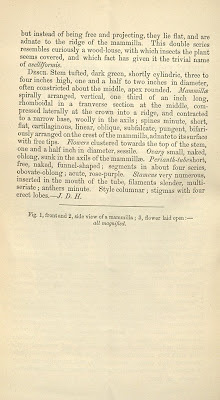 Each individual is turbinate: from the base to the crown, or summit, terete, of an ashy brown colour, and scarred with close transverse lines, occasioned, it would appear, by the progressive withering and contraction of the tubercles: the summit is broadly convex, but with a deep depression in the centre, glaucous, traversed from the centre outwards by 6-8 furrows, and thus divided into as many convex ridges, and these again, transversely, but more or less deeply, into rather large, rounded, more or less confluent unarmed tubercles, each of which has a dense tuft or short pencil of compact erect hairs:--no aculei. 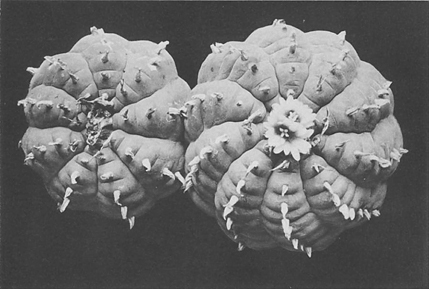 Flowers proceed from a young tubercle, near the centre of the crown. 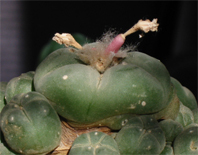 The base of the calyx is downy. The petals lanceolate, rather numerous, white, externally tipped with pale green, and having a rose-coloured line down the centre. Stamens yellow. 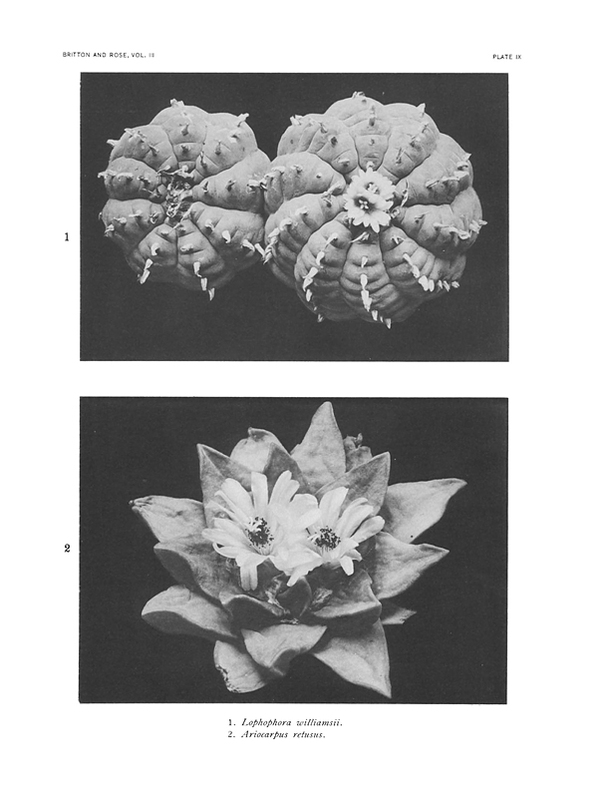 Stigma of four spreading rays. I’ve meant to buy this book for more than a year now; I finally got it ordered and received my copy a couple of days ago. 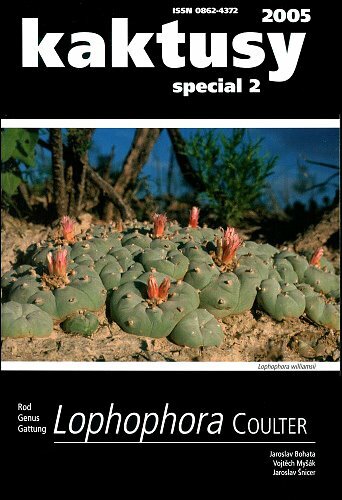 I haven’t read through it all yet, just browsed the sections on Ariocarpus, Epithelantha, and Lophophora. These are excellent and very informative; I’m looking forward to have the time to read the book from end to end. 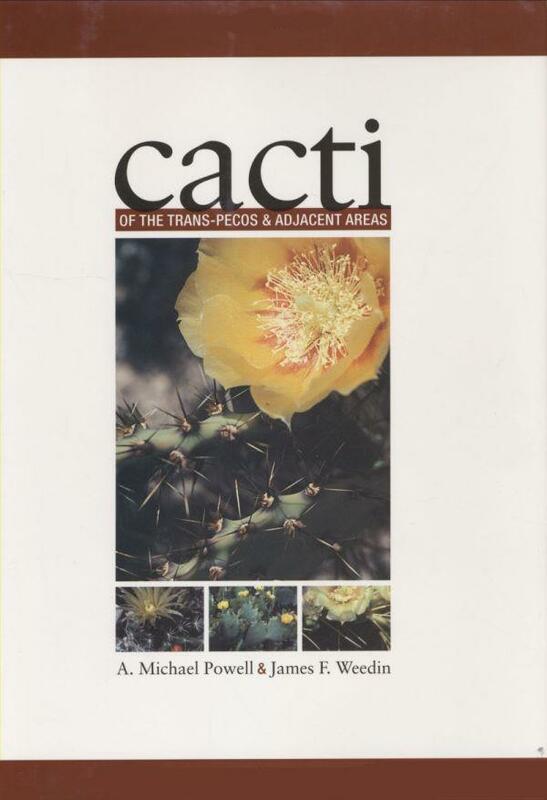 The Texas Tech University Press description reads: “Of the 132 species and varieties of cacti in Texas, about 104 of them occur in the nine counties of the Trans-Pecos region and in nearby areas. 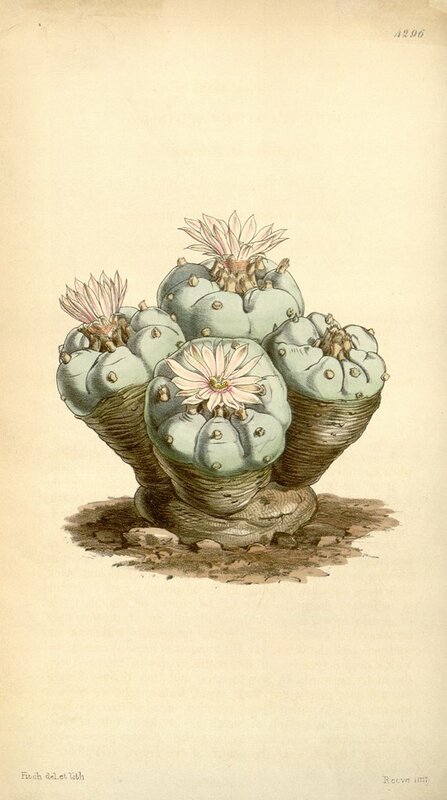 This volume includes full descriptions of those many genera, species, and varieties of cacti, with sixty-four maps showing the distribution of each species in the region. I finally got around and ordered my ‘early subscriber’ copy of the The New Cactus Lexicon. 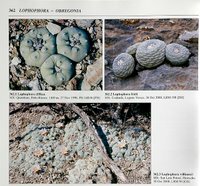 The lexicon is prepared on behalf of the International Cactaceae Systematics Group (ICSG) by David Hunt et al. and will publish by March 2006 at the latest. The invitation to subscribe early expires at August 31, 2005. A full prospectus and order form is available online. The lexicon arrived a couple of days ago – I’ll get back with more information when I’ve had a chance to study the books.